There are different eyes’ exercises which help improve vision. Some Yogic kriyas of Hatha Yoga can be especially helpful in eyesight improvement. The eye exercises described hereunder, help to alleviate various disorders related to malfunctioning of the eye muscles, such as short and long sightedness, presbyopia and squint. Prolonged computer, mobile and TV use. Most of the factors stated above for poor eyesight are common and can be dealt with if awareness is there. In case of diet, avoid heavy, indigestible, oily, spicy, tinned, processed, pre-packed and junk food. Avoiding a non-vegetarian diet is going to help in vision. One should be careful while at work and maintain a good posture. Avoiding prolonged and continuous work can help while at work. 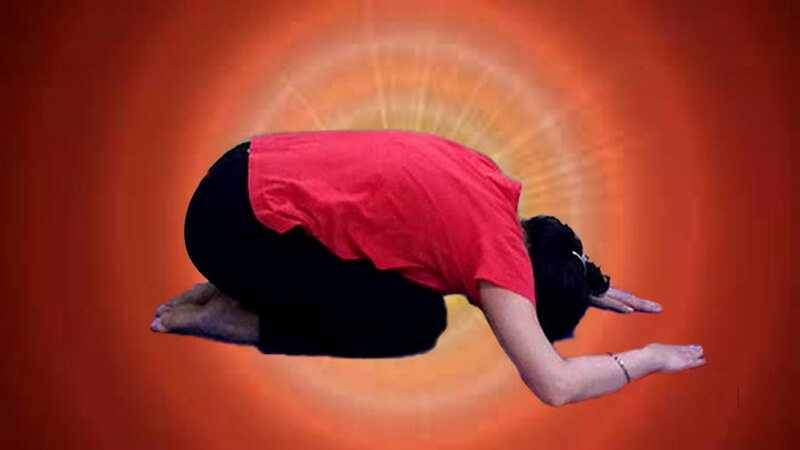 The practice of Hatha yoga does help in getting rid of toxins from the body. Proper lighting, while reading or writing, should be maintained. The habit of walking bare feet on grass, sand or bare earth early in the morning will have a relaxing effect on the eyes. Also letting the sun rays fall on the closed eyes at the time of sunrise will relieve the eyes of stress. Netra Snan is best explained in the book ‘Swasthya-Yog‘ by Hath Yogi Shri Nikam Guruji. Fill the mouth with water and splash the pure, cold water onto both the eyes 7-8 times. Repeat the kriya 10 times. Jal Neti and Trataka are the two kriyas of Shatkarma of Hath Yog and are explained best under the topic of Hatha Yog. 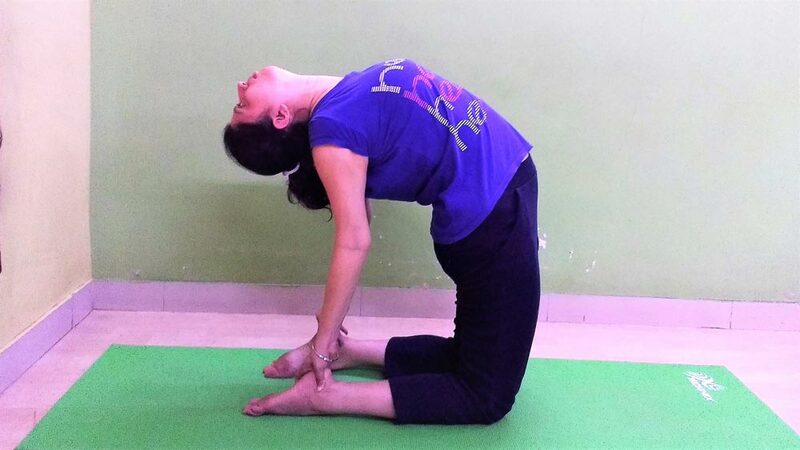 You can read in detail of these asanas by clicking their names. 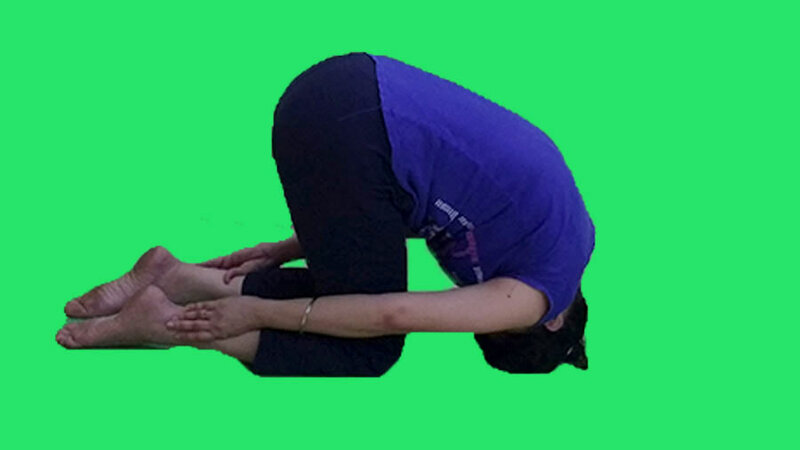 Sit comfortably on a yoga mat with spine erect and eyes closed. Rub the palms vigorously until they become warm. Place the palms gently over the eyelids. Feel that the heat energy so generated is being transmitted from the hands into the eyes and the eye muscles getting cool, energized and relaxed. Repeat the process at least three times. Sit straight with spine erect and the eyes opened. Start blinking the eyes. Let them blink 10 to 15 times quickly. Thereafter close the eyes and relax for some time. Close the eyes and relax for some 5 to six breaths. Sit with legs stretched and straight in front of the body. Repeat the cycle 7 times. Close the eyes and relax them. Repeat the process 7 to 8 times. Now again close the eyes relaxing them. Repeat the same procedure with the position if the hands changed and to on the left side of the body. Sit with legs stretched and straight in front of the body. Place both the fists on respective knees with thumbs pointing upward. Fixing the gaze on the left thumb, and following it, start raising it slowly. Once the thumb is raised to the maximum, slowly return to the starting point. All the times the eyes should remain focused on the thumb. Repeat the same procedure with the right thumb. Now repeat 7 to 8 times with each thumb. Sit with legs stretched and straight in front of the body. Place right hand on right knee and left on the left knee. Making the loose fist of the left hand and the left thumb pointing upward, make a large circular clockwise movement with the left arm, keeping the eyes focused on the thumb, and without moving the head. Perform 7 to 8 clockwise and anticlockwise movement. Repeat with the right thumb. Sit with legs straight or in a cross-legged pose. Make a loose fist with the left hand, thumb pointing upward and left arm straight directly in front of the nose. Focus eyes on the tip of the thumb. Start bending the arm, bringing slowly the thumb to the nose tip. Keep the eyes focused on the tip of the thumb. Maintain this final position for a few seconds. Keeping the gaze fixed on the thumb, straighten the arm. Repeat procedure 7 to 8 times. The practice of Pranayama nourishes the body with an extra supply of oxygen. Blood is purified of toxins. The brain centers are stimulated and brain cells energized. Stress and anxiety levels are lowered. Anger, anxiety, insomnia are alleviated. Healing capacities of the body are increased. The nervous system of the body strengthened. All these factors will help eyes achieve good health. Kapal Bhati, Ujjayi, Deep Breathing, and Nadi Shodhana Pranayama should be practiced regularly. The yoga exercises for eyes explained above should be practiced regularly with patience and perseverance. 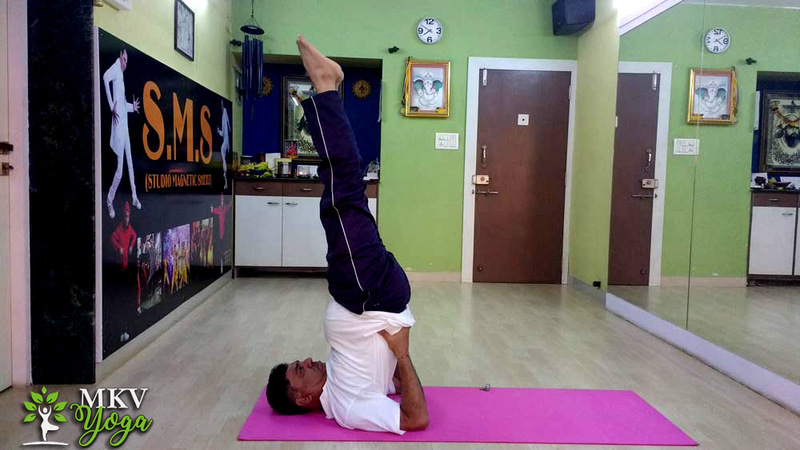 Yoga exercises for eye problems have helped persons gradually reduce the power of glasses, in addition to the improvement in the eyesight naturally.